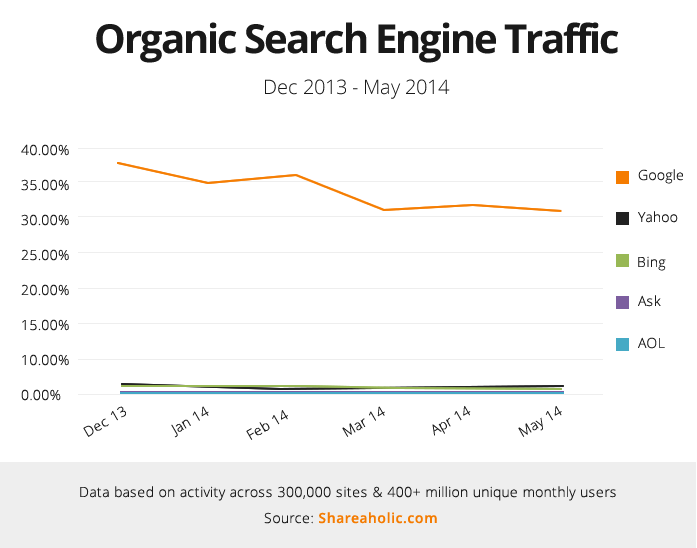 Although Google holds the largest market share in search, occupying nearly 40%, there are others out there. Let’s take a look at the top 5 search engines and the quality of a visit from them. Google holds a massive 37% of the market share whereas Bing, Ask, Yahoo and AOL barely reach 1%. Google will bring you the highest volume of visitors, but on the other hand it also has the highest bounce rate percentage, which begs the question – is a visit from a Google search worth as much as you would think? 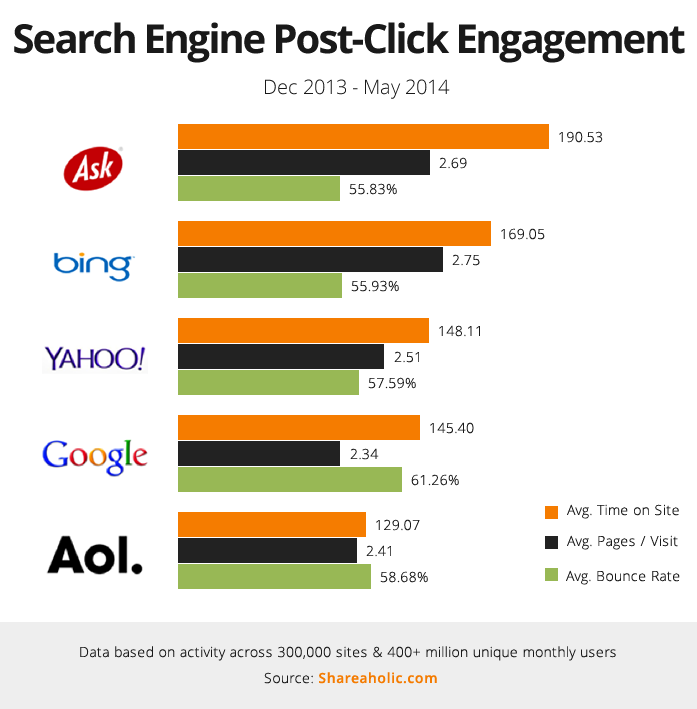 On an individual basis, no probably not, Ask, Bing & Yahoo offer the highest percentage of engagement from users. These three won’t give you huge volumes of visits but they will give you a better bounce rate and on average a longer period of time spent on your website. But on a larger scale, Google is still the one to be most polite to, if google sends you 1000 visits, Bing, for example, will only send you 2 (we haven’t done the exact maths!). Which means from Google you have the potential to receive around 300 quality visits apposed to the 1 from Bing…unless you didn’t work hard on your copy to make it relevant (see our earlier post regarding content if you need help). You will notice that so far we havent mentioned AOL even though this is on our list above…AOL is even lower than Google and really has no redeeming qualities so we won’t waste time justifying this one!